Ken is a partner at Ward Damon where he primarily focuses on business and commercial law, labor and employment litigation as well as complex commercial litigation. He has built a career representing the interests of individual, corporate and institutional clients in a broad range of complex federal and state commercial litigation matters, including state and federal securities litigations, FINRA arbitrations, administrative and government proceedings, labor law matters, and contract and commercial disputes. 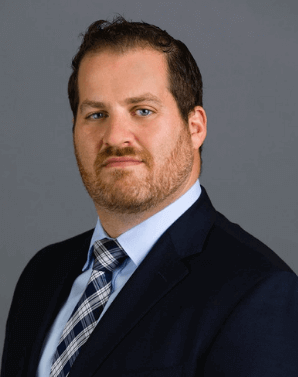 Before moving to South Florida with his family in 2017, Ken spent nine years as a commercial litigator in New York City, regularly representing clients in high-profile matters around the country. He is a fierce advocate who is always ready to zealously represent clients’ interests in a way that gets results. Ken earned his Bachelor’s Degree in Business Administration with a focus on Economics from the George Washington University in 2005, graduating with honors, and went on to receive his law degree in 2008 from Syracuse University College of Law, again with honors.